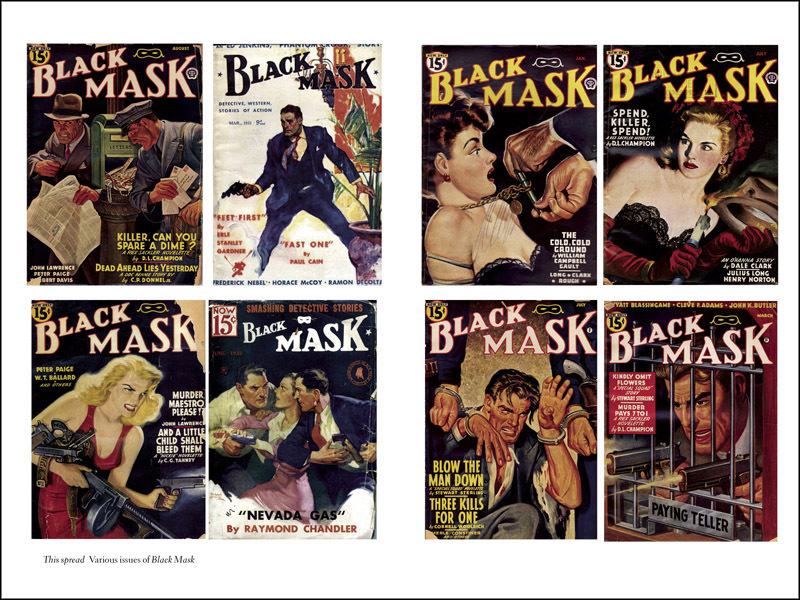 Paul Cain was the hardest boiled of all the Black Mask writers. 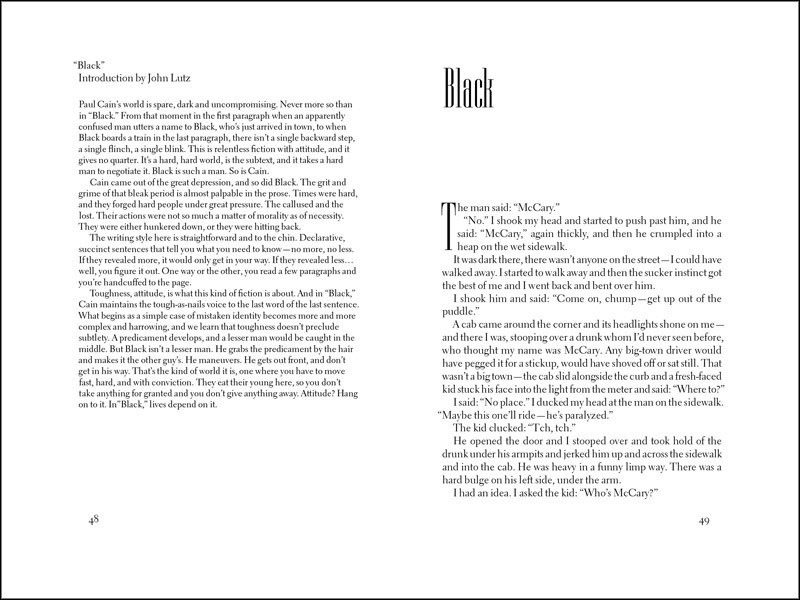 And other than Hammett and Chandler, the one who best epitomizes the hard, brittle style that represented the magazine. Short staccato sentences void of introspection, conjunctions, and all but the most necessary exposition. Stark, violent, and occasionally brutal storylines. And prose so provocative and compelling that the reader finds himself gulping it down whole instead of in the usual bite-size pieces. 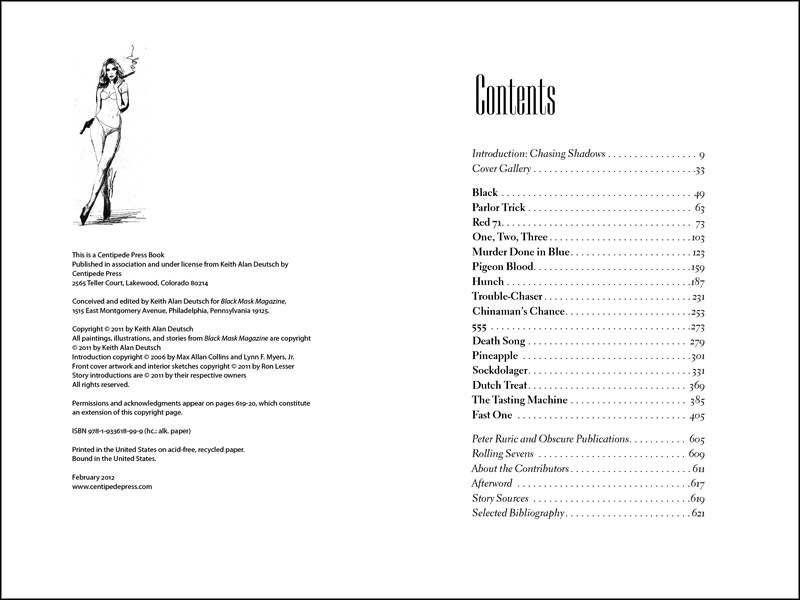 This massive collection, originally conceived by Keith Alan Deutsch, who has selflessly taken it upon himself (as proprietor and conservator of Black Mask Magazine copyrights) to keep this classic work in print in high quality formats available to a new generation, features the novel Fast One (in its original serial form) and the complete 13 slayers —brilliant works of noir fiction—written by Paul Cain for Black Mask and other crime pulps. For six of the slayers, this is the first time ever that they have been collected in book format, and also marks the first time that all of Cain’s fiction has been collected in book form. This new edition includes a stunning biographical introduction by Max Allan Collins and Lynn F. Myers, Jr., which incorporates years of research into the life of Paul Cain, about whom little is known. Along with the stories, this edition features a cover gallery of old issues of Black Mask as well as old covers of the Fast One and Seven Slayers collections. This hardcover book is signed by Max Allan Collins, Lynn F. Myers, Jr., and Ron Lesser, the cover artist. 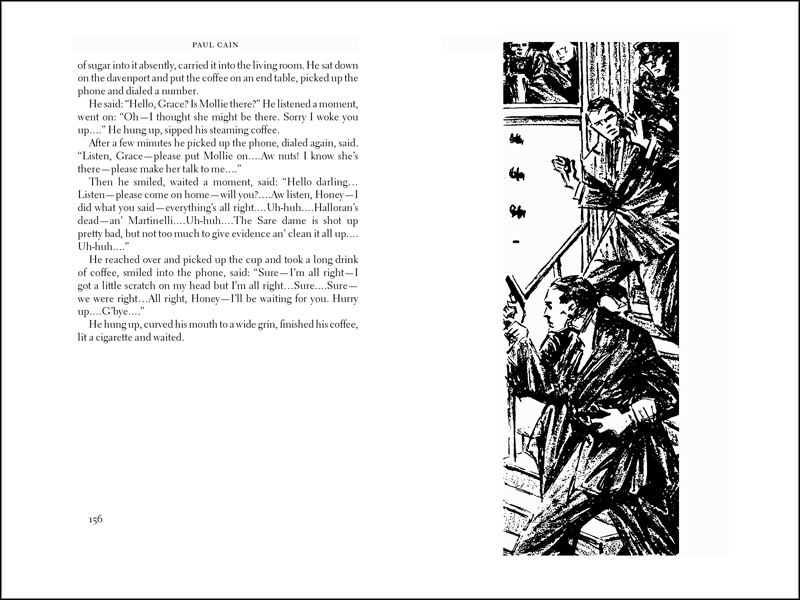 Limited to 500 copies, each signed by Max Allan Collins, Lynn F. Myers, Jr., and Ron Lesser. 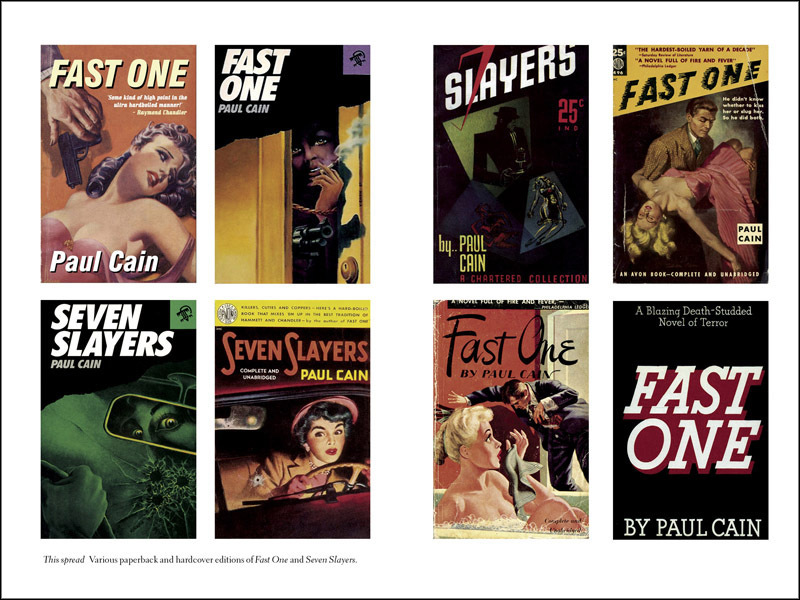 Introduction by Max Allan Collins and Lynn F. Myers, Jr..
Special gallery of old editions of Fast One and Seven Slayers and Black Mask magazine covers reprinted in color. The complete fiction of Paul Cain. Ribbon marker, head and tail bands, three-piece cloth construction, dustjacket.